The offseason is over as the first of UH Boston’s winter sessions gets underway tonight at MetroWest. Eight teams hit the court for the first of 32 regular season games across the league between now and February. New rosters, new players, new season, same best-in-class basketball. Will Classic Barbershop repeat? Can a first-time GM capture the title? Will this session’s rookie class be better than the rest? All these questions will be answered by season’s end. But the real question is: Are you ready for another MetroWest season? Because we certainly are. Four championships. No other organization in UH Boston has accomplished such a feat. And captain, Jay Resto, isn’t one to let you forget it. The four-time champion is on a high coming off a State Championship in the fall. And the scary thing is…his winter season might be even better. Highlighting Classic Barbershop is first-round draft pick, Mychal Parker – a 6’5, explosive wing who played at the University of Maryland. Lob City. But in typical Resto fashion, he rounded out the rest of his roster quite nicely – sharpshooting Nick Kineip and stretch bigs Kevin Silva and Kenny Seitz round out the starting lineup. But Classic’s true strength may actually lie in their bench with Emerson Portillo and Alex Chery pairing for a championship pedigree supporting cast. The only potential weakness for this team may be on the defensive side. But Classic is going to be TOUGH to beat and by the end of the season, Resto might have Kobe rings #five. Tommy Hubbard was arguably the most efficient scoring machine in the second half of 2018. Hubbard won an inter-club championship over the summer with Buckets Galore and almost led his Stampede squad to the State Championship in the fall. Heading into the winter, Hubbard took the reins as Stampede’s captain and fared quite nicely in the draft. Pairing up with the scoring stud is state champion, Keyon Armstrong – possibly Hubbard’s most offensively versatile teammate to date. Roger Hamel returns to stretch the floor and Westwood’s Mario Payne will see a ton of easy looks with so many shooters around the floor. Additionally, Stampede may have gotten a gift in the form of 6’4 rookie center Chris Lewis off the waiver wire. If the big man can anchor the paint, this may be the best team in Boston. If he can’t, this team will struggle on the glass. Their veteran bench of Stephen Dion, Elzey James and Kevin Neal will each play crucial roles in the team’s success. Ultimately, though, their success or failure will depend on Hubbard and Armstrong’s ability to coexist in the backcourt. 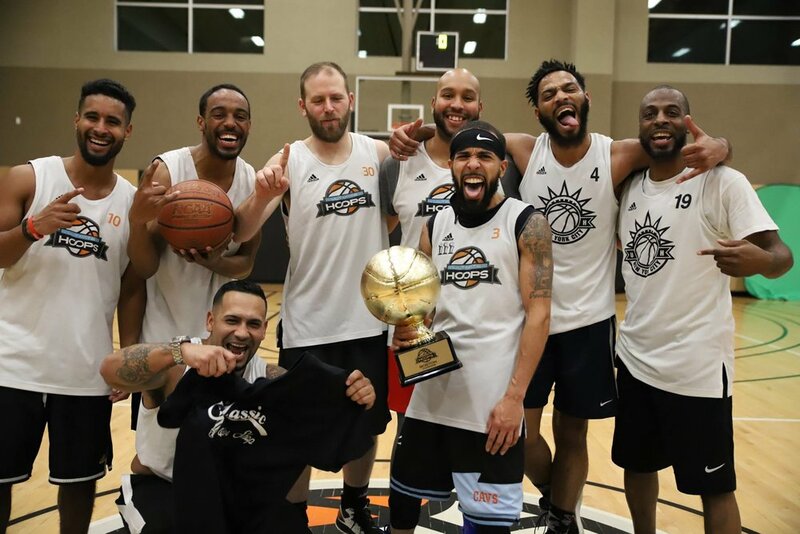 Yemi Ajao and his Buckets Galore team squandered a perfect season in the Final Four by losing to the eventual state champions – Classic Barbershop. But despite the loss, Ajao and BG are 27-5 since the spring and retooled for another championship run. Ajao’s right-hand man this season will be scoring machine, “Sugar” Shane Coleman. Have fun stopping this team from getting to the rack. Perhaps Ajao’s best pick, though, was his second-rounder – John “Stone Cold” Iarussi. The heady point guard provides not only floor-stretching three-point shooting, but a floor general presence similar to the one Ajao had when BG won the championship in the summer (Patrick Luckett). BG also brings back Josh Gates to bolster its defense and adds versatile John Reilly to the roster. It may take this team awhile to get going whereas Iarussi will miss the first three weeks of the season (personal); in the meantime, Kevin Johnson will hold down the fort at point guard with high energy Alek Gerken and Josh Adjei off the bench. Can this team run with the likes of Stampede or Classic Barbershop? On paper, it doesn’t look so. So pounding the glass will be their MO. The Rebels are one of the more interesting rosters in the league. Micah Duarte ignored the hype surrounding the highly touted rookies and chose Roland Millien with the number one overall pick. Will passing on the likes of Mychal Parker (No. 5) and Reggie Brown Jr. (No. 2) come back to haunt him? Only time will tell. But whether or not the rookies outperform Millien, a championship is this team’s ultimate goal. Duarte’s backcourt consists of Brandon Portillo and Chris McLaughlin while Millien is paired down low with 6’5 rookie Alex Toth. The preseason favorite for sixth man of the year is Drew Pettiford who will see plenty of wide open attempts from deep and catch his fair share of fly routes on the fast break. With versatile veteran Tim Blacquier also coming off the bench with underrated Khalid Alford, the Rebels are certainly in the running for a championship. Do they have enough fire power, however, to hang with the likes of the teams ranked ahead of them? Black Mambas will be a top-two defense in the league this season. Quote us on that. With Jasper Landrum and highly-touted, 6’7 rookie, Reggie Brown Jr. manning the paint, expect teams to have little success attacking the rim. And with captain Jose Roman pestering opposing point guards, teams will have a tough time settling into their offense. But it’s the other side of the ball that raises cause for concern. Who is Black Mambas’ go-to scorer? All signs lead to it being Brown Jr. Taylor Pettiford can stroke it from distance, Chicky Reyes keeps the ball moving, Roman can attack and Landrum is solid all-around, but down the stretch this team will need to rely on the rookie to get a bucket. Therefore, we can’t rank them any higher than No. 5 before seeing the RBJ in action. But Marcin Papla’s shooting, Keith Rovinelli’s hustle and rookie Carlos De La Cruz make this team deep and dangerous. Guy Pistone takes over the Warriors organization following a roller coaster ride of a fall season. The standout point guard drafted a team with loads of potential. With his first pick, he took rebounding menace, Tomas Morales, to serve as the perfect pick-and-roll partner. A few picks later, he snagged WPI alum and UH rookie, Mike Byron to form an underrated three-headed monster. Mike Perreault falls into a situation where he can just focus on shooting and Tiler Balboni teams up with Morales to form MetroWest’s Bruise Brothers. Off the bench, Matt Potenza, Sam Huggan and Matt Hammond are a well-rounded, veteran trio capable of picking up any slack from the starters. And Potenza will be first up to do so in Week 1 as Balboni is out indefinitely with an ankle injury. This team can run and gun with the best of them, but they’ll have to prove they can defend before we rank them any higher. With a team that has as much talent as Hustle’s does, how on earth do they come in at No. 7? It’s a testament to how deep this league is. But it also has to do with Hustle having a lot of players who thrive with the ball in their hands and only one ball to go around. Joel Katana took Mike James with his first pick. The Westwood big will man the paint, blocking shots and rebounding amongst the league’s best. But in a lineup that also features Aaron Anniballi, Devon Frye and Tambo Barrow, will James get enough touches to stay engaged? This is the big question Hustle will have to answer. Their projected starting backcourt of Frye, Anniballi and Katana is made up of three players not particularly known for being consistent ball movers. But when they get hot, watch out! Jeff Raymond should round out the starting five playing alongside James in the front court while Barrow, AJ Narayanan and Chris Pimentel bolster the bench. It’s a head scratcher to see a team with a backcourt of Jason LaPlanche, Patrick Luckett and Jude Valmeus ranked dead last in the power rankings. But that’s where Fearless is, and until they prove us otherwise, it’s where they belong. We were fine with Luckett’s selection of Valmeus at No. 7 overall, but the league consensus was that his pick of Wally Callam at No. 10 was a reach, especially with a player like Mike Byron on the board. To compound issues, Luckett, at 5’10, seems best suited as a point guard. So, his selection of 5’7 Jason LaPlanche seems like an odd pairing for his backcourt. Luckett added some nice size in a pair of 6’5ers in Shawn Wise and John Finnerty while Steve Safran’s veteran experience and Michael Markwarth’s shooting will be huge for the team’s success. But when compared to the rest of the league, Fearless isn’t striking fear in anyone.